visual arts in the community. Click on the UAC members page button to veiw images of our members art work and to see those that are for sale by the artist. "Divide and rule, a sound motto. ​Unite and lead, a better one." Click on the icons above to visit our face book page or email us. "Whether you think you can, or you think you can't, you're probably right." Click on the blue colored words and go directly to the locations. 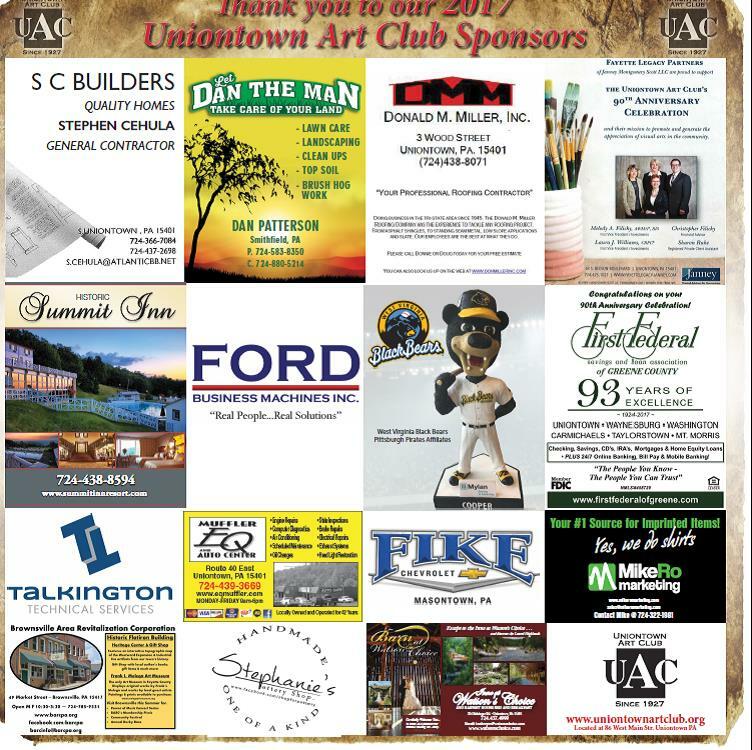 ​ A listing of all Past Presidents of the Uniontown Art club. UAC Anniversary Slides and History of Club excerpts. Photos from our recent Summit Inn Shows. Click on the button above to go directly to the current news and weather. These news and weather feeds that update automatically. 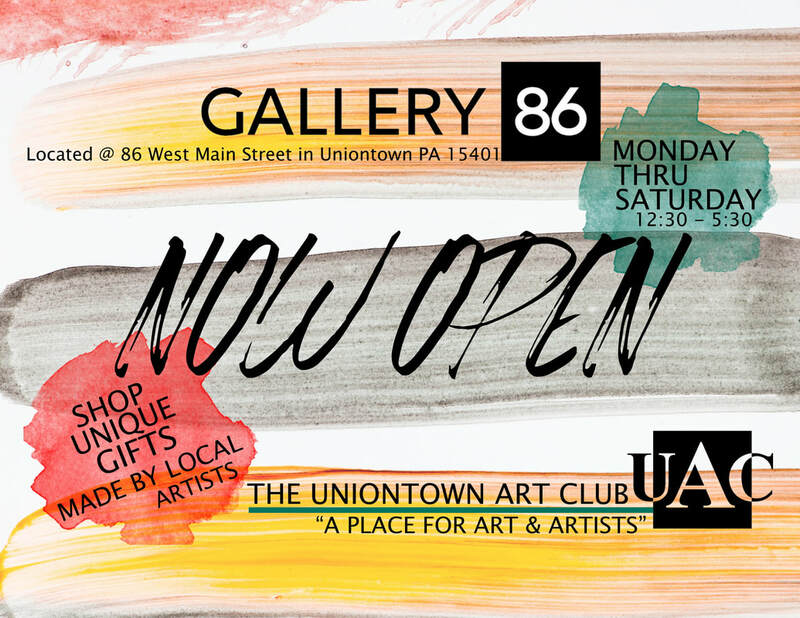 would you like to Join the Uniontown Art Club ? We would like to hear from you. Leave a comment about your visit: What woud you like to see that would make our site more interesting to you? Check back often, we plan on adding new information regularly, especially in the Current Events section relating to Arts and also Crafts that will be available in the local area.